Variety reports that The Artist’s Michel Hazanavicius is preparing to direct a comedy starring Zach Galifianakis. 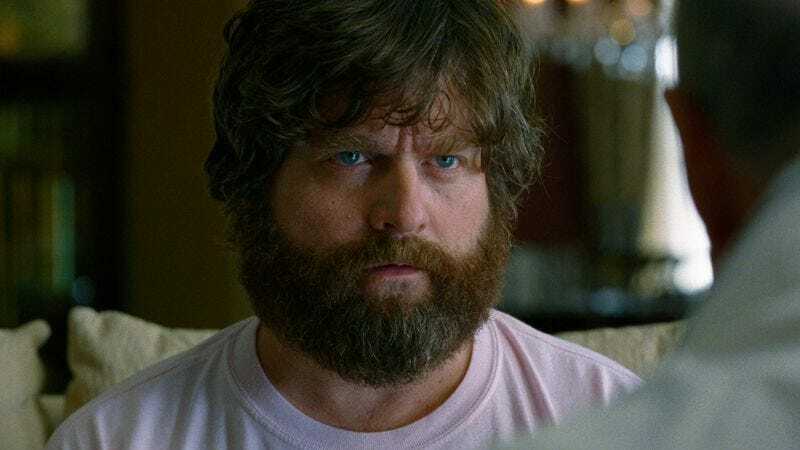 Will, which will star Galifianakis as a guardian angelos, is based on a screenplay by Demetri Martin (who, despite being Greek-American, does not have a last name that ends with an s). The project, produced by Will Ferrell and Adam McKay, will start shooting either later this year or in early 2015. Paul Rudd is attached to co-star as Galifianakis’ mortal ward. Hopefully, Jason Sudeikis will also play a role, ensuring a 1:1 ratio of Greeks to Lithuanians. Haznavicius’ new film, The Search, will be premiering at Cannes this week.